Celebrate 37 Years of Endangered Species Protections! More Great Letters to the Editor in Southwest Papers! Adorable Mexican Wolf Toys – Perfect for the Lobo Lover on Your List! Urgent: Take Action for Wolves Now! Bill Introduced to Strip Endangered Species Act Protections From All Gray Wolves! 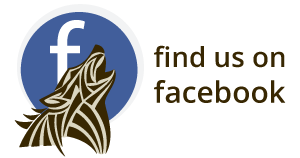 Ask the Forest Service to Close Unneeded Roads in Mexican Wolf territory! Arizona Republic Editorial-Letters to the Editor Needed Now! Good News in Press Release from USFWS and AZGFD-Your emails are working! New in the Press: What happens if endangered Mexican wolves are stripped of protections? Members of Congress request changes to bolster Mexican wolf recovery! Take Action for Wolves Now! 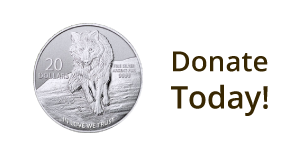 Mexican Wolf Reward - Up to $60,000! We’re not afraid of the big bad wolf, are you? Unfortunately, some people have been taken in by a purposeful campaign of misinformation and fear. Action Urgently Needed to Free More Mexican Wolves! New in the Press: How Will the Wolf Survive? Eureka’s canid center stares down challenges on the verge of its 40th year. Lords of Nature Comes to PBS! Attend a public meeting and submit comments! Psychologists’ interventions could help save an endangered species — and transform wildlife management worldwide. Proposition 109 defeated in Arizona! Mexican gray wolves have 13,000 fans!! Celebrate with free wolf howl ringtones, coloring pages, stickers, and bookmarks. Bills in Congress would keep the resurgent predators off the federal endangered species list. Send An Easy E-Postcard to the Fish and Wildlife Service Today About This Week's Re-release Candidate! Wolf Awareness Week October 17 – 23! SILVER CITY, N.M.— The U.S. Fish and Wildlife Service today again delayed releasing a pack of eight wolves — badly needed to bolster the dwindling number of Mexican gray wolves in the Southwest — into the Arizona wild. The Engineer Springs pack would infuse new genetics into a wolf population suffering from inbreeding. Celebrate Mexican Gray Wolves in October! Maggie Howell, managing director of the Wolf Conservation Center in South Salem, NY, tells her story of the plight of Mexican wolves: "If not for some heartless criminals, they could have survived and contributed to the recovery of their species." Please urge your members of Congress to sign a letter with their colleagues asking that the Fish and Wildlife Service take immediate action to save Mexican gray wolves! Free the Engineer Springs Eight! Lords of Nature on PBS – new dates have been scheduled for Tucson! Paul Sneed, a true champion for Nature, died on Aug. 26, 2010 after suffering from esophageal cancer for two years. He was 64. Please urge your members of Congress to send a letter to the Fish and Wildlife Service demanding that they take immediate action to save Mexican gray wolves! More Good News in the Press! Good News in the Press! More Good News for Lobos! Wild Mexican Wolves Are on the Brink of Extinction. Please Act Today! Three Mexican Wolves Were Found Dead recently-34 endangered Mexican Wolves Have Been Killed by Criminals Since 1998. Take a video trip to the recovery area and learn more about efforts to ban traps and snares. Wolf supporters are needed to attend the AZ Game and Fish Commission meeting Friday. Mexican Gray Wolf Puppy News! Mexican gray wolf Nagual (M968) and his mate, F1064, are the proud parents of five puppies and are candidates for release into the wild. In his essay “Thinking Like a Mountain," Leopold recounts the killing of a wolf and how the death became a transformational moment in his life. Happy Birthday to the Oldest Lobo Matriarch In the Wild! Book Review: "Where the Wild Things Were"
A world free from predators would not be idyllic. Download printable bookmarks and colorable stickers here. Steve has penned seven letters to the editor over the last 3 years. He never misses an opportunity to speak up for our wolves. He is an inspiration for all of us! Pick up your pens (or start tapping on your keyboards) and let's keep wolf issues in our papers. Mexican wolf packs, after spending the winter following herds of elk over long distances, are getting ready to settle down to raise their puppies. URGENT! ACTION NEEDED to save Mexican wolves!